The One Show’s Rickshaw Challenge at The Deep, Hull! The Deep is delighted to welcome The One Show’s Rickshaw Challenge to Hull on Monday 14th November for a very exciting live broadcast. The One Show’s Rickshaw Challenge has returned with a new team of riders and route across Britain’s East Coast revealed on Wednesday 19th October on the show. Returning for a sixth year, the team will cover a 470-mile journey from the Scottish market town of Jedburgh to central London, all to raise money for BBC Children in Need. 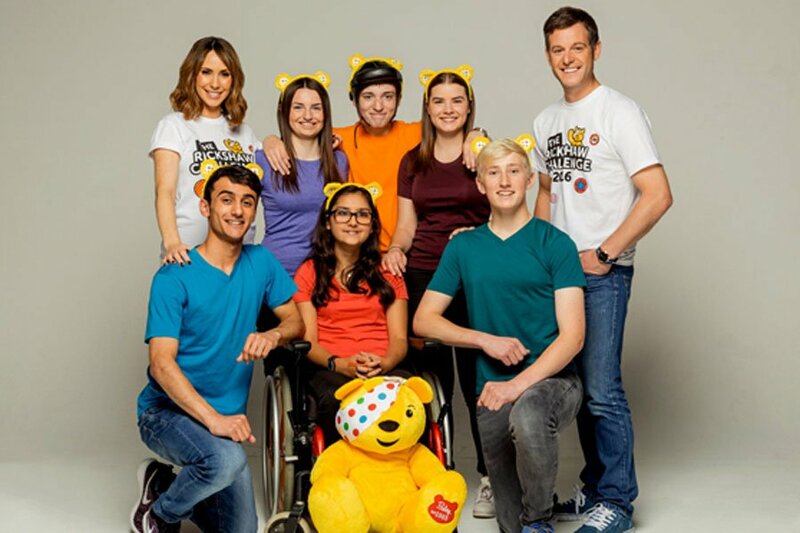 This year the rickshaw will once again be pedalled by six young riders, all of whom have been supported by BBC Children in Need funded projects. The One Show’s presenter Matt Baker will be on the road cycling alongside the team offering support and advice throughout the journey, whilst Alex Jones will be following every step of the way, cheering on the team, live from the studio. The team will make their way into Hull from Scarborough, marking the end of day 4, after completing a whopping 232 miles. If you would like to be part of this fantastic event, we are on the lookout for 120 studio audience members to cheer them on at The Deep that evening. Please note: all audience spaces are NOW FULL. For more information on the team and where to donate, please visit: bbc.co.uk/Pudsey.